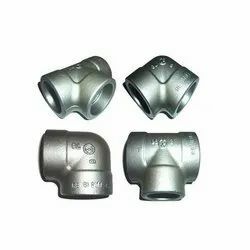 We offer our clients wide range of Welded Pipe Fittings which are designed by our designers as per the international quality standards. These are fabricated using superior quality material and are available in two configurations- standard and custom. Overseas Sourcing Solutions India & Co.
- Sizes: 1/2" - 48"
Mainly used for petroleum, gas and water pipelines. We are a widely acclaimed manufacturer, supplier and exporter of Weld Pipe Fittings. The fittings we offer are designed in accordance with the international industry guidelines using high-grade material and technically advanced machines. We provide these fittings to our esteemed clients as per their specific requirements and demands. We offer duplex and super duplex buttweld fittings in many varities and sizes. N.H. Plasto India Pvt. Ltd. 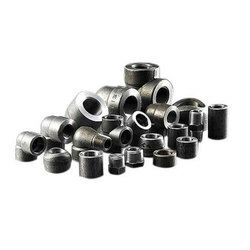 Backed by rich industry experience, we are presenting vast variety of Socket Weld Fitting. The offered range are widely used in the chemical and power plants. Our range are available in various shapes and sizes and are suitable for diverse industrial applications.